The Nissan Altima, Honda Accord, Toyota Camry and Ford Fusion are top-sellers in the midsize sedan category, which is intensely competitive. With redesigned versions of the Camry and Accord now on sale, and incentives high for the older Altima and Fusion, major sales volume is at stake for each automaker month in and month out. In October the Honda Accord won the top spot, but just barely. The Toyota Camry was hot on its heels with just 488 fewer sales. An incredibly slim 327 units separated the third place Nissan Altima from the fourth place Ford Fusion. 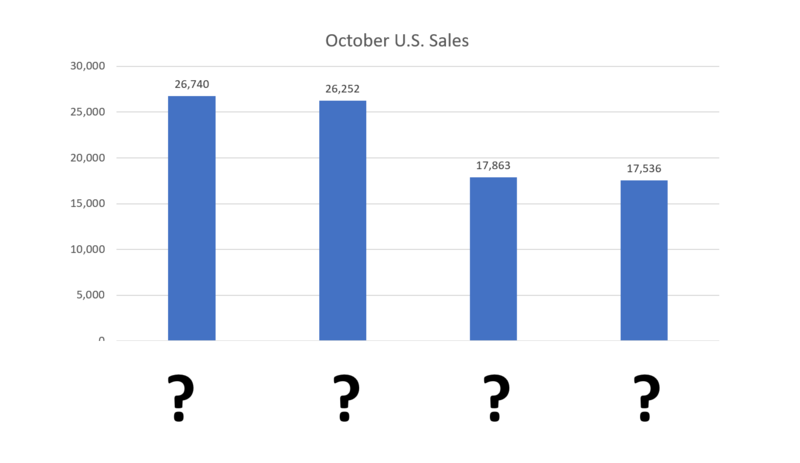 This was a very close race, and next month we could see the Camry and Fusion leapfrog from their current positions as incentives heat up and dealers get eager to move any remaining 2017 models.